35 theoretical-practical hours distributed over two weekends. Learn how to design and impart an indoor cycling session. Learn the different types of session and perfect your technique and communication. 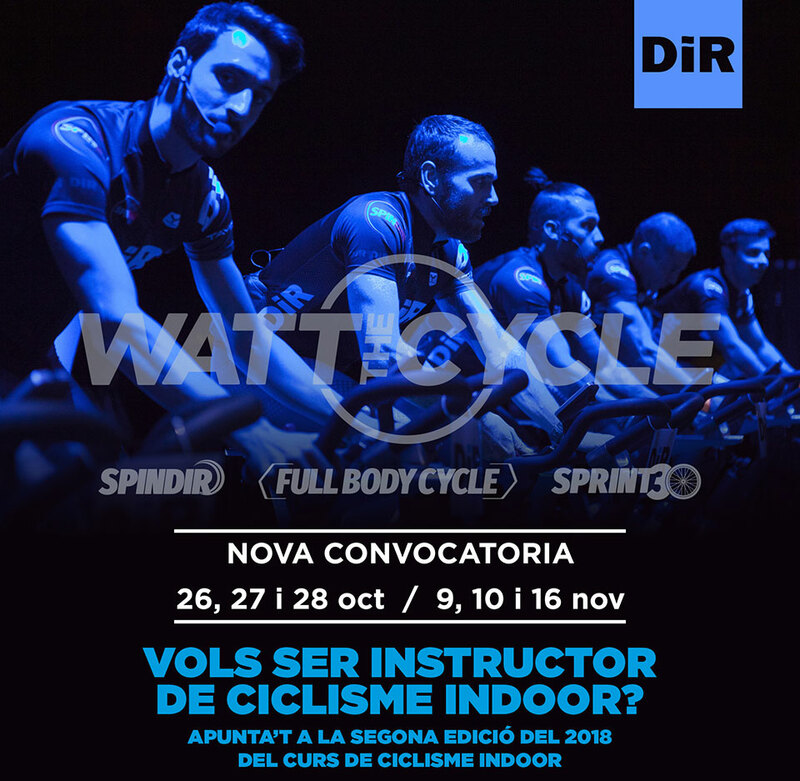 All indoor cycling practitioners and sports professionals. & nbsp; In addition, you will have access to the DiR Workbench. Jordi M., Jordi V., Dario P., Angelo M. i Rubén M.
If you love sport and want to pursue it as a career, the DiR Academy is the place for you! Here at DiR, we want to share with you our experience as leaders in the world of fitness and healthy lifestyles. Our experience speaks for itself, so you can be sure that our training programme is second to none. We offer specialisation courses, training cycles and continuous training programmes in the fitness and well-being sector. You will also have the chance to gain practical experience at one of our gyms. Sign up to the Academy and become a genuine healthy lifestyle specialist. Train with the DiR guarantee..
After 30 years leading the way in the industry, we want to share our knowledge with everyone who, like us, is passionate about physical activity, sport and health. The DiR Academy offers training, specialisation and refresher courses to anyone who wants to take their training to the next level, whether technical, commercial or customer-focussed..
Training cycles: at the DiR Academy, we offer all participants in the Motivators in Physical and Sporting Activities Training Cycle the chance to complete part of their training in DiR Clubs under the guidance of our experienced professionals. Universities: we work together with several Catalan universities, holding lectures on physical activity and fitness. Collaboration between university and industry creates a very productive partnership for our society. Work experience: the Academy organises work placements for all training cycle students as well as universities that hold a collaboration agreement with DiR. These placements are an effective way to learn and an excellent introduction to the world of work. Workshops: at the DiR Academy we organise workshops and training courses for students of higher-level training cycles and Physical Activity and Sports Science universities. Do you want training in DiR?